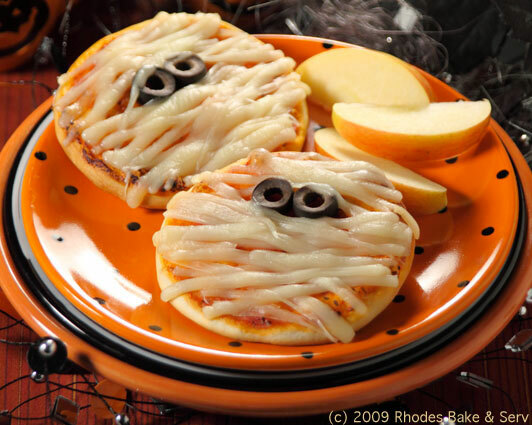 In putting MotD in the Halloween spirit, Rhodes Bake & Serv presents these fun, mini mummy pizza treats. What a cute idea and very easy to make. And check out all the mandala-like shapes: the pizza, the olives, the holes in the olives, and the beautiful black & orange plates with the black dots. While I would have to change out the recipe for a gluten-free option, it would be super fun to make (and eat) these. Given the opportunity to do so, how would you play with your food to make it fun?